These 16 oz. mallets are finely crafted, well balanced, and extremely durable. Made from Maple, they are infused with acrylic polymer resin to prevent crushing of the face grain during impact. They excel in chopping out dovetails, carving, and lightly guiding your most precise work. Made for Lie-Nielsen by Blue Spruce Toolworks. 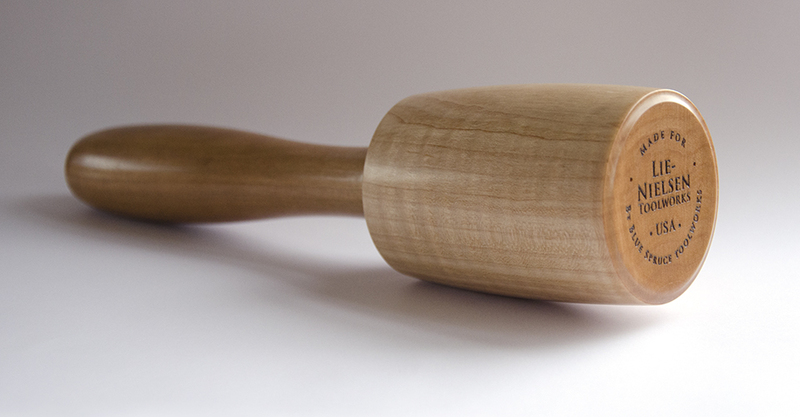 Blue Spruce Mallets were awarded Popular Woodworking's 2009 Best New Tools Award.